Several sothern cities are well connected, especially out of the Middle East. It makes them particularly attractive MiCE destinations. Cities like Hyderabad, Bengaluru, Chennai, Cochin and Calicut have several flights coming through. 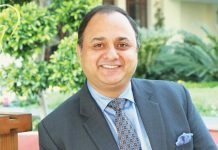 The southern states pave the way to imbibe the mystical and diverse culture and heritage of India through visits to its various temples, visualisation of myriad dance forms, sampling of unique cuisines and access to collectable, cherishable handicrafts, offering unique experiences to inbound incentives. Globally, the MiCE (Meetings, Incentives, Conferences & Exhibitions) segment, with a 54 per cent market share, has overtaken the traditional business trips segment. 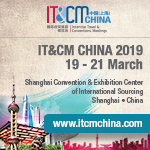 Conferences/Meetings/Seminars (41 per cent) and trade fairs/exhibitions (29 per cent) are the two largest MiCE sub-segments (Source: ITB World Travel Trends Report 2014/2015). 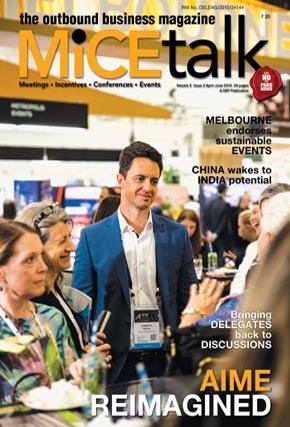 The MiCE industry in India, though well equipped to take on its immediate neighbours and in certain cases the global warhorses, has to trudge a long path before it comes up as a ‘Top of the mind’ destination amongst global MiCE organisers. As per ICCA, India occupies 35th position in the world, with a total of 116 global conferences organised in the year 2014 -15. In this category, the global leaders include USA (831 meetings), Germany (659 meetings), Spain (578 meetings), United Kingdom (543 meetings) and France (533 meetings). In terms of immediate neighbours, only China (332) leads at the world stage, other competitors like Taipei (145), Singapore (142), Malaysia (133) and Thailand (118) are within the striking range. Bengaluru: The IT, Biotechnology, e-commerce and electronics hub has six excellent properties to choose from. Hyderabad: 18 excellent venues with the largest of them all, The Hyderabad International Convention Centre and the Ramoji Film City. Vishakhapatnam: The Andhra Pradesh government is also giving incentives for meetings and conferences to be organised in Vishakhapatnam. 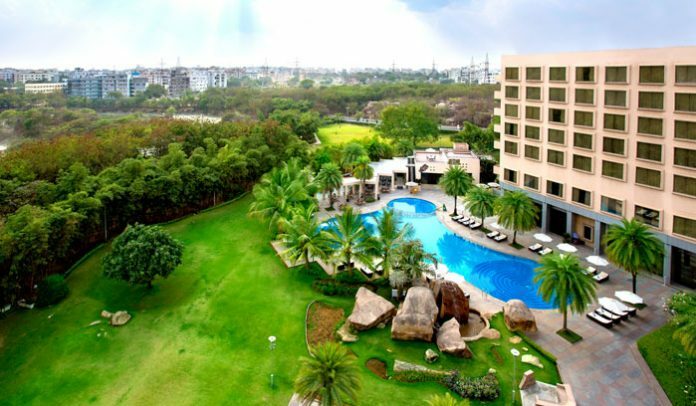 Novotel Hotel and Taj Group has excellent conference facilities. Kerala: The Kerala tourism policy entrusts Kerala Convention Promotion Board as the apex body to promote Kerala as a MiCE destination. The Incredible India and ‘Gods Own Country’ campaigns, strong commercial and export hubs along the coastline, explore possibility of exploiting the coastline by introducing cruise tourism. A strong expat connect, lot of serene tourist attractions, safe and secure destination, emphasis on medical tourism especially Ayurveda and natural healing and geared up infrastructure in Cochin. Cochin: Six exquisite properties in ‘God’s Own Country’ provides excellent venues. Karnataka: The major advantages of Karnataka as a MiCE major tourism hotspot are as follows: Strong Agro, IT, Automobile and Engineering eco-system. Lot of serene tourist attractions, strong Biotechnology and medical credentials and excellent connectivity. Telangana: The major advantages of Telengana as a MiCE major tourism hotspot are as follows: strong IT, Healthcare ecosystem, a strong expat connect, excellent cultural meltpot, lot of visually appealing and serene location, excellent connectivity, robust MiCE infrastructure. Tamil Nadu: The major advantages of Tamil Nadu as a MiCE major tourism hotspot are as follows: Strong IT, healthcare, automobile, heavy engineering ecosystem, excellent connectivity, robust MiCE infrastructure. Chennai: The capital of Tamil Nadu, well known for its’ IT, Engineering, Healthcare, Textiles and Automotive segments has 15 properties to choose from, with the Chennai Convention Centre known far and wide. With its tropical environment and its focus on Ayurveda, Kerala is popular among the inbound tourists coming in from the UAE. Muraleedharan. P, Tourist Information Officer, Dept of Tourism, Govt of Kerala, states that domestic tourists come in the summers, but foreign tourists prefer winters. Many people from the UAE come for the Ayurveda treatments during the monsoons that is from July-September. This is the ideal climate for Ayurveda treatments, rest venture from December to January, which is the peak season. Kindly elaborate on the facilities available at HICC. Over a decade of its operations, Hyderabad International Convention Centre (HICC) has been integral to the growth of MiCE in India, helping in positioning Hyderabad on the world MiCE map. Th e only purpose-built convention centre in India connected to a fi ve-star hotel, Novotel Hyderabad Convention Centre features the largest pillar-free hall spanning over 65,000 sq. ft. with a ceiling height of 41 sq. ft., and can comfortably accommodate 6,000 guests at once, which is a unique proposition. With over 1,00,000 sq. ft. of fl exible event space, our venue features a large pre-function foyer, registration area with 16 terminals, 37 break-away rooms, including specialised meeting rooms, speaker preparatory rooms, boardrooms, and a VIP lounge, well suited for parallel sessions. Organisers suits, inhouse AV assistance, business centre facilities and a dedicated event planning team make every event a success. Located in the nerve centre of the city, it is easily accessible from Rajiv Gandhi International Airport, via a 45-minute drive. Hyderabad is extensively connected both globally and domestically as well, supplementing that with the state-of-the-art infrastructure, and worldclass services provided by a trusted brand like AccorHotels, has helped HICC make its mark as a global MiCE destination in India. What kind of food menus and preferences are offered for foreign guests? Our endeavour is to always create exceptional experiences for our guests and food is a key element in it. During any conference, the only challenge we feel is time constraint. Most of the conference itineraries are very tight-knit for which our culinary team curate themes and menus which guests can relish in the limited time available. Dinners are more relaxed and allow us to do elaborate setups and concepts which goes beyond food and encapsulates the ambiance, décor, and entertainment for an overall experience. The delegates visiting India, love to try authentic Indian cuisine and some of the regional specialties. Hyderabad with its vibrant food culture has a lot to offer, and with our skilled and experienced chefs, we have been able to please they guests’ palate. Keeping in mind the diverse mix of guests, we always create balanced menus along with special dietary requests. How have you evolved in the last five years? Kindly also enumerate the main conferences held during that period. Evolution regarding facilities and services is an on-going process for us. We believe in foreseeing the trends and living up to the requirements of our dynamic guests. With over a decade of experience, we have been witnessing tremendous growth in revenues and the number of delegates. The last few years have been very successful where Hyderabad International Convention Centre hosted several large conferences, bringing more than 2.5-3 lakh delegates to the city every year. Some of the key conferences which we have hosted in last few years include Global Entrepreneurship Summit 2017 with over 5000 delegates, 19th Regional Comprehensive Economic Partnership Summit (RCEP) with 700 representatives from 16 countries, 24th Congress and General Assembly of International Union of Crystallography with 1700 Crystallographers from across the globe. The International Conference on Technology for Development(ICT4D), 10th World Stroke Congress with 3300 guests and 57th Public Meeting of Internet Corporation of Assigned Names and Numbers (ICANN). How is the convention centre attuned to handle weddings? At Hyderabad International Convention Centre, every wedding becomes unforgettable, as we offer space and flexibility to design the perfect backdrop to felicitate memorable moments. The grand entrance, large pre-function areas and multiple halls to host different ceremonies in a venue with high ceilings allows the event planning team to turn the venue into a destination you wish for and curate larger than life experience. When it comes to destination weddings, although Hyderabad is not as popular as few other cities in India, but it surely has its fair share when it comes to large weddings. Hyderabad International Convention Centre & Novotel Hyderabad Convention Centre has hosted many big weddings with extravagant setups and the guest list as high as 6,000. What technological delights do the convention centres offer? HICC is till date the only purpose-built convention centre in India which has the largest pillar-free main venue and multiple smaller, and flexible venues to accommodate sizeable global conferences. The architecture was done keeping in mind the international standard of convention facilities. The convention centre also supports the infrastructural development in the city. Apart from the ease of movement, the connected fivestar hotel and brand assurance by AccorHotels, when you look at smaller yet essential aspects of planning, the built-in rooftop catwalk, rigging points and truss for heavy suspension, service pits on every six meters with power, water and the internet supply are few technological add-ons at the Hyderabad International Convention Centre which help organisers to plan a more professional and well-managed event. In-house availability of professional audio-visual support, business centre facilities and a dedicated event planning team to closely help and monitor, makes every event a huge success. What has helped project Hyderabad as a destination that can handle Global MiCE? India’s current share in the global MiCE market is approximately 0.5 per cent which needs to be doubled in the next five years to have a significant impact on our economy. We still have a long way to go and should focus on setting up more city convention and visitors bureaus. The current coordinated efforts between convention centre, bureau, government and many international hospitality brands in the city has helped us getting the fair share of international associations business to India. Highlight the leisure options in Hyderabad. This city of pearls and Nizams has a lot to offer for both traditional and contemporary experiences. Guests can indulge in authentic Hyderabadi hopping, at the popular hubs like Laad Bazaar near famous monument ‘Charminar,’ General Bazaar in Secunderabad and jewellery shopping around Banjara Hills. For contemporary shoppers, there is a plethora of many home-grown and international brand stores, and malls to indulge in a shopping spree. Hyderabad, very well known for its Biryani, has its unique flavour when it comes to food and nightlife. From regional specialities to global cuisine or experiencing the street food, late night trips to drive-ins and clubs with exhilarating music or fine dining experiences, there are endless options to make you love this city more. What is the role that an organisation like HCVB plays in developing a city for MiCE and how? What should other states do to develop Convention Bureaus as well? The role of HCVB is simple: to meet, think, strategise with you and learn on the features and benefits of bringing the conference to Hyderabad and in return showcasing the city’s highest potential in all arenas. Be it, obtaining knowledge or taking valuable insights back from Hyderabad, all this keeps the ‘City of Pearls’ ever-ready to take on the next big convention. Formed in 2011, HCVB was borne out of a public private partnership model with the state tourism department as its key partner and primary stakeholder. Our bidding procedure is processed and completed with the support from the Government of Telangana. Being a marketing organisation, the aim of the bureau is to bring revenue into Hyderabad by way of competing with other global CVBs in attracting congresses and the high yield revenue associated with each congress. HCVB engages the local chapters and intelligentsia to solidify the pitch for a conference to come to the city, ‘speaking’ in a unified voice. Thereon, once the bid is won for the city by HCVB, the congress is declared as a ‘win’ to all the stakeholders and media. A case in point, each congress that is won for a city comes with high yield revenue potential which has been recognised by the state government. HCVB, after successfully bidding and winning the congress facilitates to deliver this revenue opportunity to the various MiCE beneficiaries in Hyderabad and members of HCVB viz- hoteliers, Professional Conference Organizers (PCOs), event management companies, transport companies and Hyderabad-based retailers. Most importantly, the state government realises the various taxes as a result of direct spend from hosting the convention in Hyderabad. Apart from realising the added benefit to the local economy of the city that MiCE can actually bring, each state should analyse their own industries thoroughly to seek ventures that can only aide in promoting their trade nationally and internationally. When all the dots are connected, the constellation of ideas leads to bringing a new dimension in the way we do business. The upcoming CVBs should aspire to work with all stakeholders in their respective cities to toil together and mutually support each member’s business philosophy in order to seek long term gains for the city versus the short term growth for their own businesses. Incentives may be offered by various ministries to encourage activities of those working in the MiCE industry. What challenges are there in developing MiCE in the southern states? As the only housing bureau in India, promoting Hyderabad, we have played a substantive role in encapsulating the meeting needs of our clients in order to make their ideas come to fruition considering the vested interests of the industry, the association and the government. As such, we haven’t faced any big challenge that could not be handled. The lack of ‘superstructures’ to support mega conventions and suit the conference organisers that wish to have the exhibition and plenary sessions under the same roof is a task. 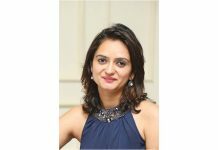 Nevertheless, this infrastructure requirement has been acknowledged by various convention centers and there has been a spur of involvement by the private and public sectors to grow MiCE arenas nationally to cater to the needs of all meeting planners. Lulu Group International and Hyatt have announced a new property – Grand Hyatt Kochi Bolgatty in Kerala – due to open by April, 2018. Set on 26 acres on the serene Bolgatty Island, Grand Hyatt Kochi Bolgatty will feature 265 rooms which include 38 suites, among them 33 Junior Suites, four Executive Suites, one Presidential Suite, plus three two-bedroom villas and one three-bed room villa. Grand Hyatt will have a grand opening on April 28, 2018, and guests will start staying from April 29, 2018. The resort is owned by Lulu Group International and is adjacent to the sprawling Lulu Bolgatty International Convention Centre. Spread over 7,900 sq m., this is touted to be South India’s largest convention centre in a leisure destination. The waterfront resort will offer meetings and event spaces for corporate meetings, get-togethers and events. Clients will have the choice to design their own catering menu. For guests who prefer to experience Kerala’s tranquil backwaters, the island has a private jetty. 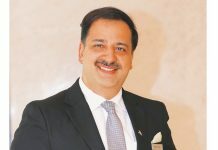 Girish Bhagat, General Manager, Grand Hyatt Kochi Bolgatty, says, “We are thrilled to open this stunning urban resort in Kerala and are excited to join hands with Lulu Group International for this. With an increase in domestic travel, the tourism sector is booming in Kerala and we foresee that Grand Hyatt Kochi Bolgatty is going to be a game changer in South India.” Located near the historic and picturesque town of Fort Kochi, the hotel has facilities like a Grand Club Lounge, a 24-hr fitness centre, an international spa offering a modern wellness experience with traditional ayurvedic treatments. The hotel also features an indoor pool, a landscaped outdoor swimming pool and children’s pool, a waterside amphitheatre, exploration gardens, including a spice garden, an outdoor Yoga lawn, a multi-purpose sport’s court, a children’s play area and a hair and beauty salon and three helipads. Grand Hyatt Kochi Bolgatty offers activities and local experiences such as a guided tour of nearby Bolgatty Palace or a boat ride. Radisson Blu hotels in South India have MiCE capacity upto 20,000 square feet while for Country Inn & Suites by Radisson and Park Inn by Radisson hotels, this number is upto 7,000 square feet. Shares Raj Rana, Our hotels are located in key cities of South India like Bengaluru, Chennai, Hyderabad, Mysore, Coimbatore and Mamallapuram and are well equipped with finest technology, 24X7 Wi-Fi, pre-function space, ample parking space and contemporary interiors to suit business needs. Radisson Blu Atria Bengaluru is the paragon for hosting successful meetings and conferences in Bengaluru. 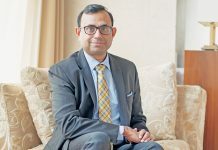 Offering over 12,000 square feet of space across six banquet venues and two boardrooms, the hotel’s banquet facilities are ideal for conferences and gatherings of various capacities, he says. Radisson Blu Plaza Hotel Mysore offers ‘Mehfil’ – an expansive capacity that can accommodate up to 1200 people. The facility can conveniently split into two to facilitate smaller gatherings and can also be extended outdoors. In addition to Mehfil, Radisson Blu Plaza Hotel Mysore also offers a meeting room and a board room with capacities of up to 8 and 18 people each. At Radisson Hotel Group, the basic elements to turn any event into a success story are attention to detail, timely delivery and quality service. Our employees are well trained to make environment as much conducive as possible for exchange of thoughts in words and presentations. Every lead is handled efficiently through a well-defined process from walk-ins, email queries, making contract, detailing requirements etc by these teams and all steps are executed with caution and care to prepare for proper coordination, says Rana. 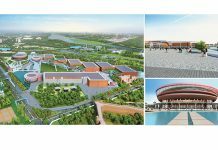 Presently, India lacks an integrated world-class facility which can meet the requirements of global exhibitioncum- convention operators in terms of space, project facilities etc. The lack of world-class convention centre coupled with other infrastructural challenges has been a major hurdle for the growth of this segment. At Radisson Hotel Group, our hotels are located at and easily accessible from strategically suitable locations such as corporate areas of major cities, airports and railway stations. Our expertise is to provide seamless management of events through a well-coordinated and structured process. MiCE events are handled by dedicated banquet sales teams that understand the client’s business needs. Our hotels are equipped with efficient and adaptable facilities to give our guests a world-class experience, he adds. Preferred Hotels & Resorts is a collection of best in class independent hotels globally. In India, they have 36-member hotels. 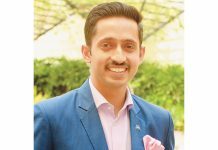 In South of India, the hotels are present in Chennai, Coimbatore Bengaluru, and Kovalam, shares Arpit Pant, Regional Director, South Asia & Middle East – Preferred Hotels & Resorts. These are all well connected cities by air and hence the hotels do offer MiCE capabilities to reach out to this growing segment. In metropolis cities of Bengaluru and Chennai, we have our member hotels present across our collections i.e., Legend, LVX, Lifestyle and Connect that offer a great range across segments. In these two major cities which do attract international and domestic traffic and have multiple faceted requirements our hotels present multiple options. In Chennai, our hotels have capacity meeting area in the range from 4000 sqft till 25000 sqft in the hotels. In Bengaluru this ranges from 4500 sqft til 17000s qft. 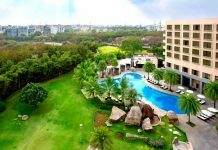 Our member hotels in these cities are: Chennai: The Leela Palace, Feathers-A Radha Hotel, The Raintree Hotel Annasalai, WelcomHotel Chennai and Fortune Select Grand. 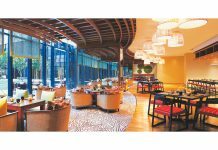 Bengaluru: The Leela Palace, The Zuri Whitefield, Fortune Select Trinity WelcomHotel Bengaluru and Fortune Select JP Cosmos. Coimbatore: WelcomHotel Coimbatore and Kovalam: The Leela. On January 29, the Preferred brand celebrated its 50- year anniversary. To commemorate the milestone, Preferred Hotels & Resorts launched a series of consumer-driven initiatives including its first-ever comprehensive video series, multiple booking incentives, and a dedicated Golden Anniversary microsite. It also introduced a complete rebranding of I Prefer Hotel Rewards. Preferred Hotels & Resorts, represents more than 650 distinctive hotels, resorts, residences, and unique hotel groups across 85 countries. With more than 20 offices worldwide and associates based in more than 35 cities, the company brings strategic advantage to hotel owners, operators, and management companies through brand prestige and global operating scale, and more. Today, India’s share from global MiCE market ranges from 0.5 per cent to 0.68 per cent, which is being further strengthened with focused efforts from existing and upcoming MiCE venues. Additionally, growing inbound arrivals (an estimated 15.2 per cent increase in 2017) and favourable forex earnings growth (increased by 20.2 per cent) backed by continued growth momentum in India, overall augur well for the MiCE market, says Jean-Michel Cassé. We are bullish on what lies ahead across key markets in India. We sense that the demand in high-occupancy markets like Mumbai, Delhi, Gurgaon, Bengaluru, Hyderabad, and Pune will continue to peak for MiCE (Meeting, Incentive, Conference, and Exhibition), he says. As an example, the Hyderabad International Convention Centre (HICC), India’s largest convention centre managed by AccorHotels, had hosted more than 800 events in 2016, averaging more than two parallel events daily. It’s highest in a decade. The trend also continued in 2017 with the international summits and conventions coming to India. In the recent years, the region has experienced stunning business growth, especially in the IT and manufacturing space. Cities like Bengaluru, Hyderabad and Chennai have now been dubbed as the epicentres of IT growth for the country, in turn receiving leading MICE inbound. Kochi, Coimbatore, Mysuru and Vishakhapatnam regions are also catching up and becoming popular destinations for corporate travellers. Owing to this, as hoteliers, we have seen a large increase in corporate travel over the last few years. Given this update in the profile of South Indian towns, we are well equipped to cater to the needs of the evolving profile of guests in this market. At present, AccorHotels has 20 properties spread across Andhra Pradesh, Tamil Nadu, Karnataka, Telangana and Kerala with a total room inventory of over 3,500 keys and a combined MiCE space of over 22,900 sq. mt. excluding the 100,000 sq. ft. of flexible space at the Hyderabad International Convention Centre, he adds.